In the forests of Colombia, a record-breaking discovery was made. A 1759-carat emerald was uncovered from the Coscuez mine. It is now part of the collection of the Banco Nazionale of Columbia. The massive jewel could be worth as much as $17 million, based on current per-carat estimates. The timing couldn’t be better for the company that just took this proven mine over. That’s because the increase in demand for colored gems is outpacing the increase for diamonds. As demand for colored gems surges, prices for rubies, emeralds and sapphires have shot up. Prices have already increased by over 100% in the last decade. As new supplies from the world’s top colored gem mines come on line to meet demand, the market could grow by five times, from $2 billion to $10 billion in the coming decade. That’s excellent news for Fura Gems (TSX.V:FURA) a rising star in the world of colored gemstones and owner of the Coscuez mine. The company has assets in Colombia and Mozambique, a superb management team with a great track record for success, and growing opportunities to take advantage of demand in colored gemstones. The diamond market grew thanks to organization. Large companies like De Beers set up integrated operations to grow the sector, minimizing costs and linking supply to demand. Diamonds also benefitted from a straight-forward valuation system. Demand for diamonds is historically a little inflated. The popular slogan “A Diamond is Forever” was invented by De Beers in the 1940s. 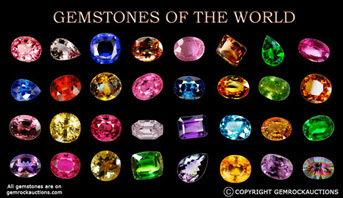 As a result of such developments, “diamond money” has always surpassed “colored gems” money. From a global market worth $23 billion, diamonds account for $13-14 billion and jade $3-6 billion. Colored gems make up only $1.5-2.5 billion. But that could be about to change. The idea that diamonds are worth more than other gems is a myth. As demand for diamonds declines, colored gems are poised to take over more of the market. Diamonds can be manufactured, raising questions about their value. Many diamonds that are mined come from “blood diamond” mines in Sub-Saharan Africa and elsewhere, attracting international attention placing pressure on diamond distributors. De Beers has faced two straight cycles of declining sales. Signs are pointing to a continue slump in the diamond market, as tastes move to other colored gems. So, as diamonds falter, colored gemstones are ready to pick up the slack. Colored gems are rising in popularity. Throughout the world, they are prized for their beauty, sophistication and style. Outside of older markets in the United States and Europe, colored gemstones have become wildly popular in China, India and South Asia. In China, consumption of jewelry doubled between 2009 and 2014, with colored gems rising in popularity even as diamonds held most of the market. From 2006 to 2013, price increases of rubies and sapphires out-paced diamonds. Marketers noted the rising interest in colored stones, and prices have been rising rapidly. A report from marketer Gem Rock Auctions shows that demand for colored stones, particularly emeralds, has been rising while demand for diamonds has largely stagnated. Many rubies sell for more than white diamonds at auction, and prices for emeralds and other colored gems have risen by 100% in the last decade, according to a report from the Natural Resource Governance Institute. While the market for colored gemstone sales is only $1.5-2.5 billion, with prices rising and demand increasing, that figure could increase by 500% in the next decade, as colored gems displace diamonds. But the colored gems industry is being held back. It’s a fragmented, divided industry with 90% of mining operations in the hands of small-scale, local concerns. The industry is under-capitalized and suffers from a lack of technological expertise and investment. Huge amounts of money are squandered through corruption, graft and mismanagement. So far, no company has emerged as the “De Beers of colored gemstones.” If the “diamond playbook” were applied to emeralds, rubies and sapphires, costs could be slashed and full advantage taken of the market opportunities for colored stones. Fura Gems (TSX.V:FURA) is looking to seize that opportunity, and it has a management team ready to take on the challenge. The team at Fura Gems (TSX.V:FURA) is aiming to put the “diamond playbook” to the test. CEO Dev Shetty came to Fura from Gemfields Plc. He joined Gemfields when the country was struggling, hemorrhaging money as profits sagged and debt piled up. Shetty turned Gemfields around, bringing the company from a $201 million net loss in 2009. By 2015 the company had a market valuation of $525 million. Shetty was instrumental in bringing Gemfields into Colombia and Ethiopia. He also helped the company develop its mine in Zambia, believed to be the world’s largest source of emeralds. Shetty’s predecessor Jamie Lalinde continues to sit on the board, offering advice to management from his twenty years of banking experience. Lalinde has worked stints at Chase Manhattan, Merril Lynch and Citibank, as well as years in the Mexican and Colombian mining sector. Shetty is backed by a strong advisory team with great name recognition. On the advisory board is world-renowned broadcaster Larry King, legendary investor Jim Rogers and international businessman Michael Spektor. Fura Gems (TSX.V:FURA) possesses immense capacity for future growth. From its current $38 million market cap, Fura could become a much bigger company if the assets it’s acquired prove out. The jewel in Fura’s crown is the Coscuez mine, which it just acquired in a $10 million deal. The deal gives Fura a controlling stake on a plot of 46 hectares, an area that has been consistently producing quality emeralds for over four hundred years. It’s where the massive 1759-carat Guinness Emerald, which alone could be worth as much as $17 million, was discovered. And Coscuez is only partially explored, meaning there could be an inventory of emeralds locked away in its orre. A well-cut emerald can be worth as much as $9,800 per carat. One 18-carat emerald ring sold at auction in June 2017 for $5.5 million! With a huge reservoir of ore waiting to be dug up, the Coscuez mine, which once supplied 77% of the emeralds in all of Colombia, could again be an excellent source of emeralds. Colombia itself has produced only about 20% of its total emerald reserves. Getting hard figures for colored gemstones can be tricky, but with a $10 million initial investment and applying modern mining techniques, Fura is hoping to be able to duplicate Gemfields’ experience in Mozambique: Gemfields earned $225 million in gem sales from seven auctions, and that’s just in the first five years. That means that Fura, with good properties and excellent know-how, could grow significantly… especially if they luck into a major find that makes international headlines. The age of diamonds has peaked, and Fura Gems (TSX.V:FURA) is aiming to take the diamonds playbook and applying it to the growing colored gemstones market. With the famed Coscuez mine, the dynamic leadership of Dev Shetty and growing international interest in colored gems, Fura is working to build upon its small market cap. Just compare it to what Shetty was able to do with Gemfields: he took a company that was losing $200 million a year, and within five years brought it to a market valuation of $525 million. And with the Guinness Emerald as its poster-boy, there’s a chance Fura Gems will soon be front-page news. The Guinness Emerald alone could be worth $17 million. 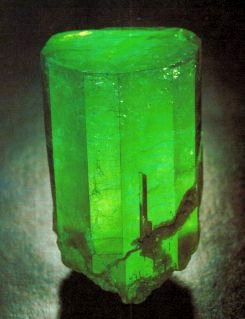 Imagine if the same Coscuez mine had another emerald like that. Savvy investors will know to pay attention to Fura Gems (TSX.V:FURA) now, before the gem rush really gets going. This news release contains forward-looking information which is subject to a variety of risks and uncertainties and other factors that could cause actual events or results to differ from those projected in the forward-looking statements. Forward looking statements in this release include that Fura Gems can deploy technical expertise to tap into Colombian emeralds; that gemstones will be as much in demand in future as currently expected; that Fura can fulfill all its obligations to exercise its property options; that Fura’s property can achieve mining success for quality gemstones; that Fura has a process that can convert low quality stones into high value gemstones; that Fura will obtain mining permits on its properties; that the gems when produced will be high quality; that tastes will move away from diamonds to colored gems; that bulk sampling and production will begin as scheduled; that Fura will be able to increase production through modern methods and increase the value of its assets through branding and auction sales; and that Fura will be able to carry out its expansion and other business plans. These forward-looking statements are subject to a variety of risks and uncertainties and other factors that could cause actual events or results to differ materially from those projected in the forward-looking information. Risks that could change or prevent these statements from coming to fruition include that the Company may not be able to finance its acquisitions, expansion or other business plans, aspects or all of the properties’ development may not be successful, mining of the gems may not be cost effective, changing costs for mining and processing; increased capital costs; marketing plans may not work out as well as expected; the timing and content of work programs may change; geological interpretations and technological results based on current data that may change with more detailed information or testing; potential process methods and mineral recoveries assumptions based on limited test work with further work may not be viable; additional high value gem properties may not be available for Fura to acquire, or Fura may not be able to afford them; competitors may offer better quality or better marketing strategies; the availability of labour, equipment and markets for the products produced; and despite the current expected viability of its projects, that the gems cannot be economically produced on its properties, or that the required permits to build and operate the envisaged mines cannot be obtained. The forward-looking information contained herein is given as of the date hereof and the Company assumes no responsibility to update or revise such information to reflect new events or circumstances, except as required by law.. This communication is for entertainment purposes only. Never invest purely based on our communication. Gains mentioned in our newsletter and on our website may be based on end-of- day or intraday data. We have been compensated by Fura to conduct investor awareness advertising and marketing for TSX.V:Fura. Therefore, this communication should be viewed as a commercial advertisement only. We have not investigated the background of the company. The third party, profiled company, or their affiliates may liquidate shares of the profiled company at or near the time you receive this communication, which has the potential to hurt share prices. Frequently companies profiled in our alerts experience a large increase in volume and share price during the course of investor awareness marketing, which often end as soon as the investor awareness marketing ceases. The investor awareness marketing may be as brief as one day, after which a large decrease in volume and share price is likely to occur. We do not guarantee the timeliness, accuracy, or completeness of the information on our site or in our newsletters. The information in our communications and on our website is believed to be accurate and correct, but has not been independently verified and is not guaranteed to be correct. The information is collected from public sources, such as the profiled company’s website and press releases, but is not researched or verified in any way whatsoever to ensure the publicly available information is correct. Furthermore, it is certainly possible for errors or omissions to take place regarding the profiled company, in communications, writing and/or editing. DISCLOSURE. The Company does not make any guarantee or warranty about what is advertised above. This article and the information herein are provided without warranty or liability. All trades, patterns, charts, systems, etc., discussed in this message and the product materials are for illustrative purposes only and not to be construed as specific advisory recommendations. All ideas and material presented are entirely those of the author and do not necessarily reflect those of the publisher. TheDailySheeple Legal Notice: The content in this article is provided by TheDailySheeple.com as general information only. The ideas expressed herein are solely the opinions of the author(s) and do not necessarily represent the opinions of sponsors or firms affiliated with the author(s). Members of the TheDailySheeple.com staff and/or owners of TheDailySheeple.com currently own no shares in the company mentioned. We will not purchase shares in the next 30 days. TheDailySheeple.com has been compensated for a two week marketing campaign. We were paid directly by OilPrice.com, a third party media company. Any action taken as a result of information, analysis, or advertisement on this site is ultimately the responsibility of the reader. The information herein is not intended to be personal legal or investment advice and may not be appropriate or applicable for all readers. If personal advice is needed, the services of a qualified legal, investment or tax professional should be sought. Never base any decision on a single email. The companies mentioned in this post are intended to be a stock ideas, NOT recommendations. The ideas we present are high risk and you can lose your entire investment. We are not stock pickers, market timers, investment advisers, and you should not base any investment decision on our website, emails, videos, or other published material. Please do your own research before investing. It is crucial that you at least look at current SEC filings and read the latest press releases. Information contained in this profile was extracted from current documents filed with the SEC, the company web site and other publicly available sources deemed reliable. Our report is not intended to be, nor should it be construed as an offer to buy or sell, or a solicitation of an offer to buy or sell securities, or as a recommendation to purchase anything. This publication may provide the addresses or contain hyperlinks to websites; we disclaim any responsibility for the content of any such other websites. Contributed by Meredith Taylor of OilPrice.com.